Colds and ‘flu’ are still cited as one of the main causes of short-term absence, and over the coming months millions of workdays will be lost to such viruses. 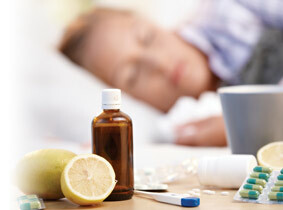 The cost of illness to employers is about more than just statutory sick pay. In addition to people being off work, there’s also a knock-on effect for the wider workforce, such as low morale if people have to cover for sick colleagues, and loss of income due to sales being missed or work not getting done. A lot of employees feel compelled to work through colds and flu, but it’s important to use common sense and if there’s a chance that someone could infect the rest of the workforce, then they should stay away or work from home until they recover. 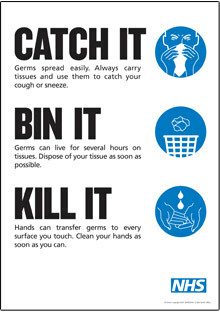 Wash hands regularly - this is one of the best ways to prevent the spread of germs. Frequent hand washing kills viruses that are acquired from touching surfaces used by other people, so ensure all sinks and wash rooms have well stocked soap dispensers or antibacterial hand wash present. Avoid touching your face - especially the nose, mouth, and eye areas, if you are around someone with a cold or have been touching surfaces in a public area. Stop smoking - cigarette smoke can irritate the airways and increase susceptibility to colds and other infections. Use disposable cups and cutlery - these are good in busy environments because they can be recycled after each use and prevent the accidental spread of viruses from sharing cups etc. Keep surfaces clean - door knobs, keyboards, light switches, telephones, remote controls, desks and work surfaces can all harbour viruses for hours after their use by an infected person. Ensure surfaces are cleaned regularly with soap and water or a disinfectant solution. Paper towels - these are better in kitchens and bathrooms for hand washing because germs can live for several hours on cloth towels. Control stress - studies have shown that people experiencing stress have weakened immune systems and are more likely to catch a cold than their calmer counterparts.